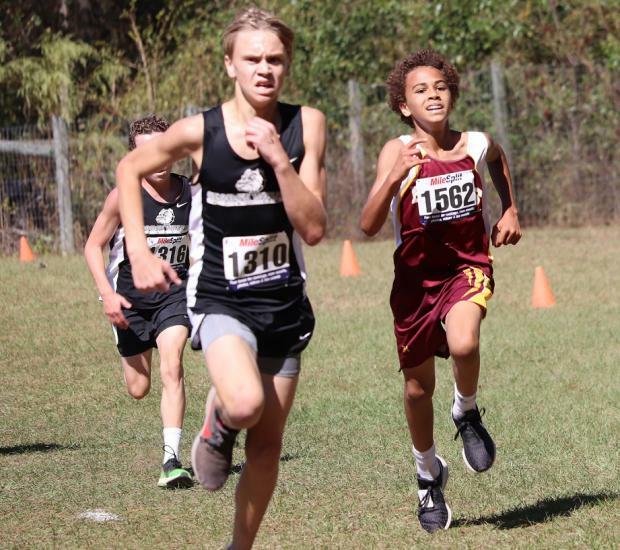 Great Day of Racing at MS State XC Championships! 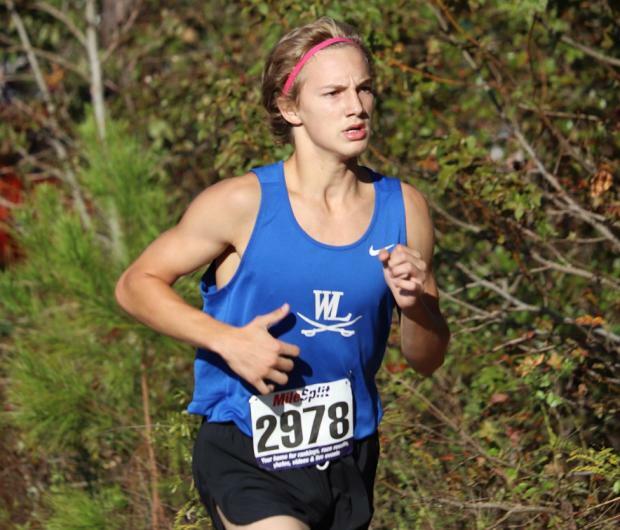 William Kellam of West Laurens is the Medium School Boys Champ going 11:27 for the win. The Dragons of Jefferson MS may have pulled an upset of sorts beating some ATL private schools with powerful HS programs. But, West Laurens MS was their real competition on Saturday only 8 points back using their race experience they have on the testy layout to their advantage. Westminster was the top metro school at 3rd, followed by Woodward Academy in 4th. Jenna Champer a few weeks ago pulled off stunning back to wins (within 26 hrs) in near 100 degree heat, which should have sounded a warning to her competition. 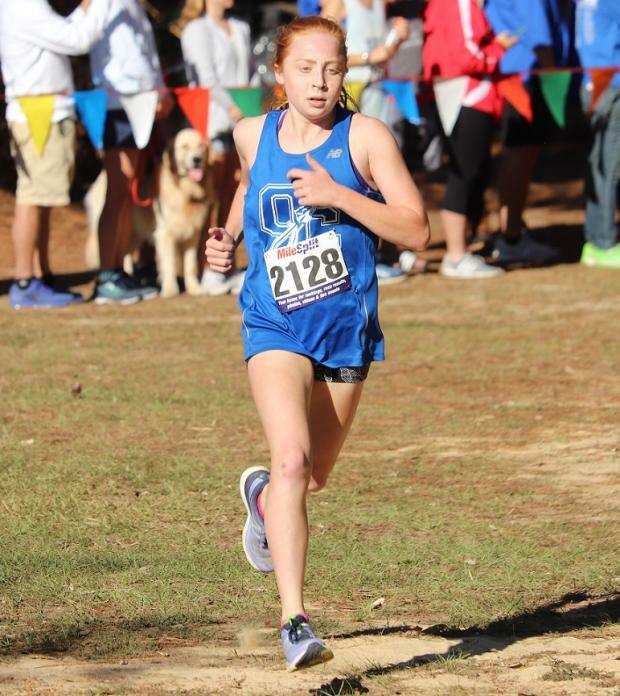 Oconee County HS is eagerly awaiting her to become a freshman next year and push them closer to the top in 4A. 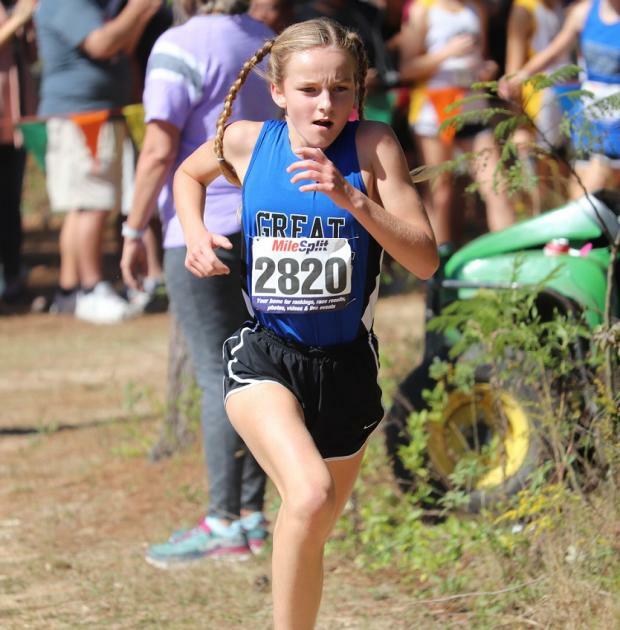 Clodagh O'Bryant (unattached), battled down the stretch finishing 3rd overall in 12:51 and was the top 6th grader in the meet. Marist girls just keep reloading, and its begins with their 'lower key' MS program. But, don't think these girls do not want to become HS Varsity Lady War Eagles and keep winning state titles every year.. Their top 7 finished within the first 24 spots in the Med. school Championship race and take out non-team scorers in the event and they scored 46 points for a victory margin of 41 points over runnerup Jefferson MS.
Evan McConnell (r) pulled away from Steven McCartney (L) the final 1/2 mile to win the Overall title in 11:24 in huge and intense Large School boys race. 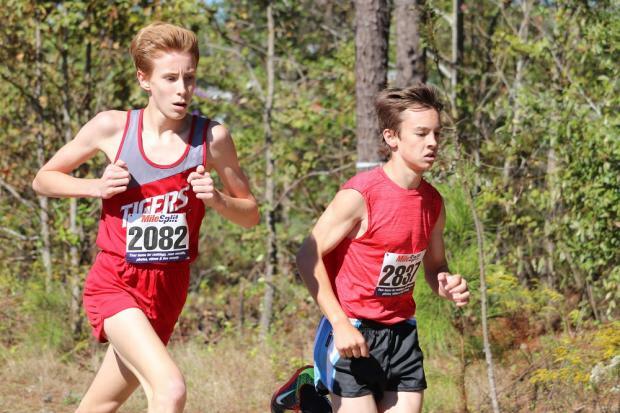 The Large school championship boys race was intense with 252 athletes and 58 of them going sub 13: Evan McConnell (unattached) and Steven McCartney of McConnell MS had quite a duel going on until McConnell pulled away the final 1/2 mile. McCartney hung tough for a 11:36 with William Carlton of Renfroe MS a few strides back in 3rd at 11:38.
Who would have thunk it? 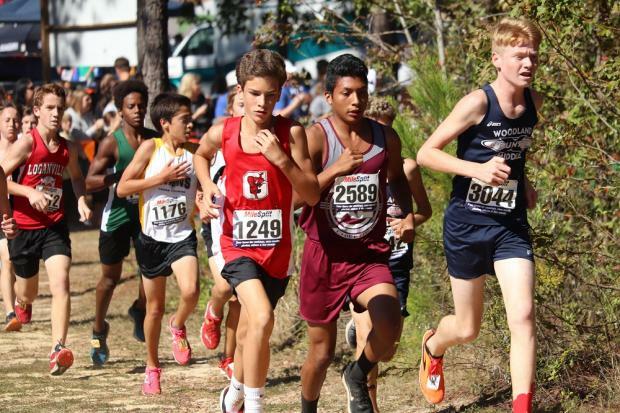 In a race full of strong unattached/club runners, Gainesville MS would prevail once again defending their 2017 team title. Their top finisher was John Jessup in 20th overall at 12:13, but the 'Red Elephants' ran well as a herd with an avg. time of 12:30 which was good enough for a 7 point win over team runnerup Woodland Euharlee. In a terrific battle for 3rd, Rome MS won on a 6th runner tiebreaker over Renfroe MS! 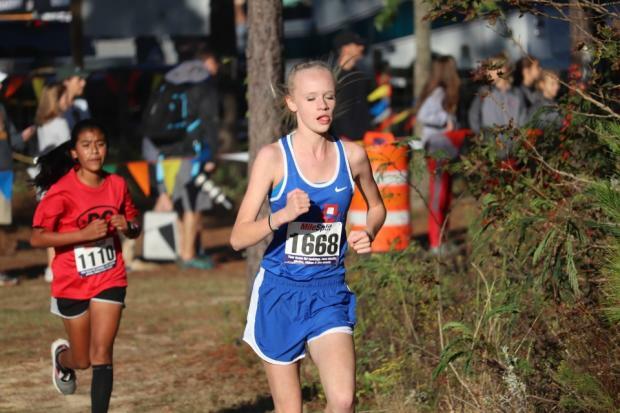 She has been virtually unbeatable all Fall (except at Asics), and Sheffield of Great Strides got some redemption down in Cochran by winning the Large school girls Overall title in 12:33 beating some strong metro competition. The Heppner sisters of Atlanta Track Club took 2nd and 3rd places respectively are Clara went 12:50 and Heidi 12:55. 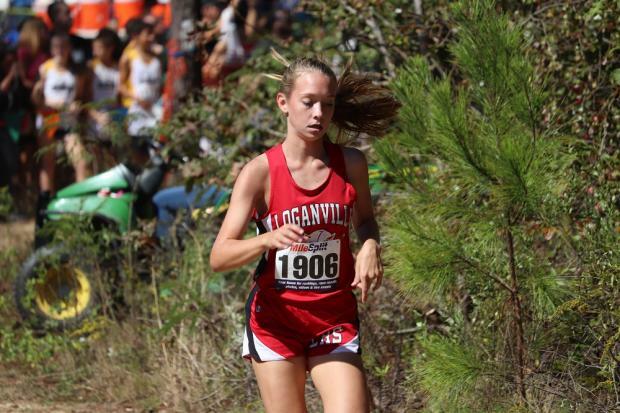 Loganville MS had a great race taking the Large school girls team title in a race packed with unattached runners in the front end. 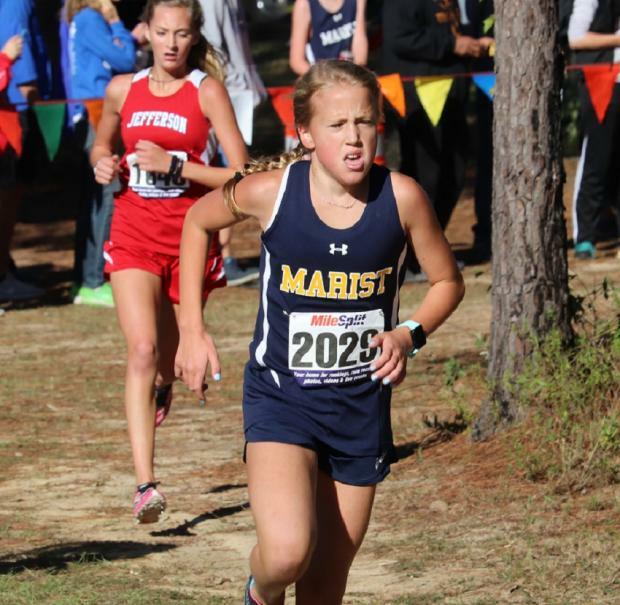 Chloe Walden led the way holding her own with metro stars placing 5th to lead the Lady Devils way in 13:05. 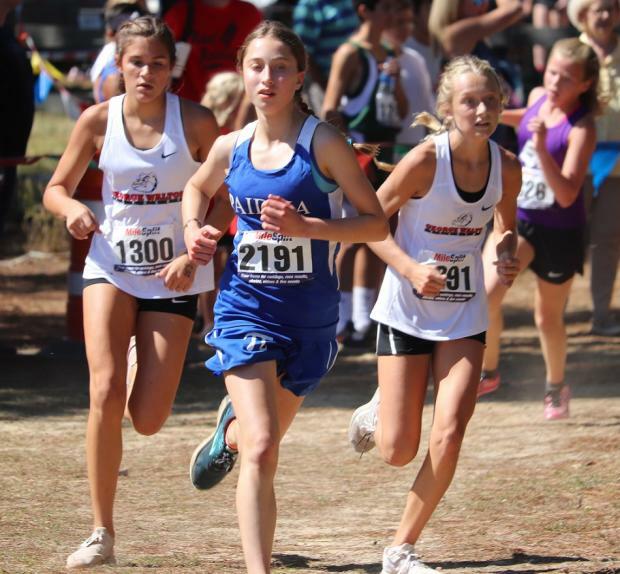 Also in the top 9 team positions were Hailey Allen (11th overall) and Laura Jessup (20th) Woodland Euharlee did finish a strong 2nd as a team, with Dean Rusk 3rd, Renfroe MS 4th. 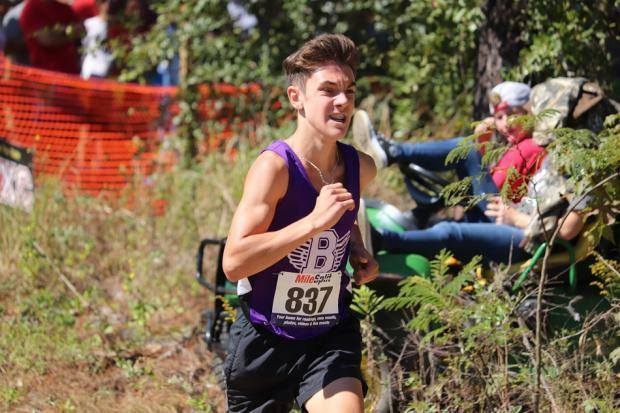 Luke Churchwell of Bleckley MS got the home crowd fired up taking the Small school boys Title in the fastest time of the day, winning the 'Best Overall' performance award clocking a 11:20. It began as a duel between 2 'Cool Hand Lukes' Churchwell and 2017 defending champ Luke McGarity. 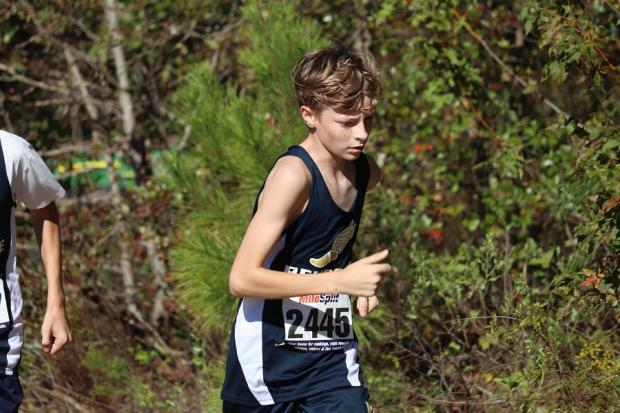 But, fueled by the local crowd, team mates and a vast knowledge of the course, Luke Churchwell was en fuego, as he ripped out an 11:20 earning the Small school title and 'Best Performance' of the meet award. Joe Sapone's runnerup finish in the Small school boys race at 11:34, led the Bears to a Team title with a margin of victory a whopping 79 points! 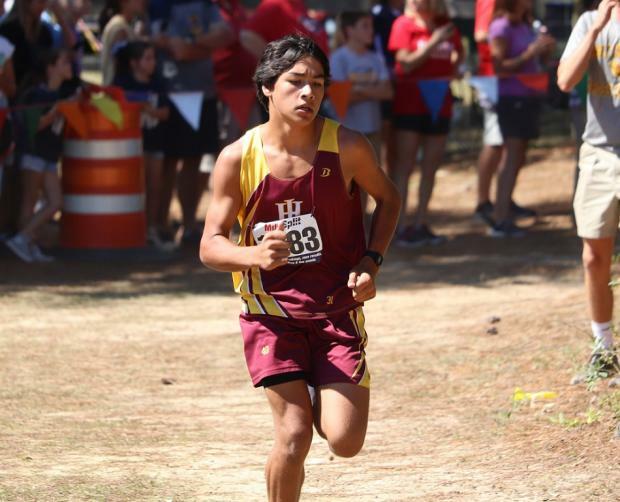 Its hard to stop a freight train with scores of runners, and Holy Innocents was unstoppable as the Golden Bears placed 5 runners in the top 11 spots to score just 32 points for a 79 point margin of victory. Joe Sapone was the top bear as overall runnerup in 11:34. 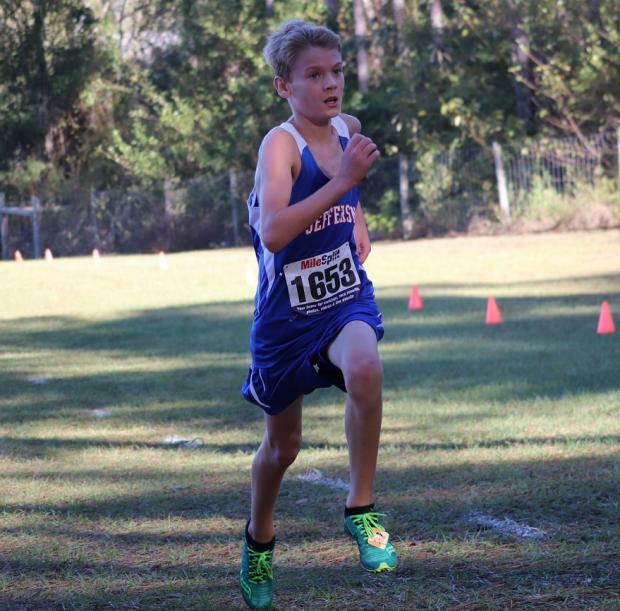 Host school Bleckley County MS was a strong 2nd place though led by Churchwell's great day. Georgia Military edged Perimeter Christian by 2 points for 3rd as a team. 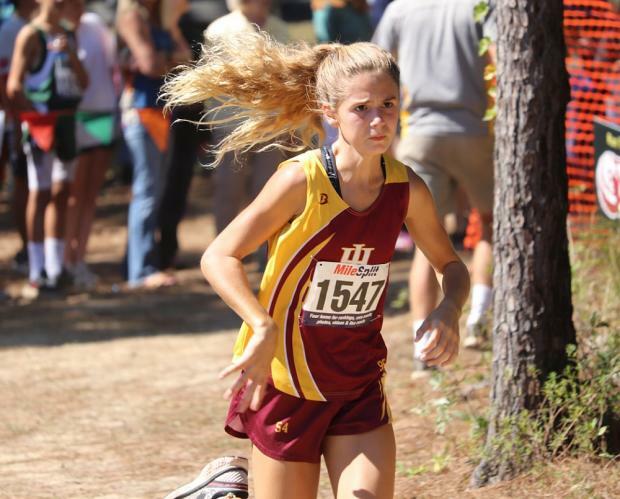 Reese Neumann of Holy Innocents won the Small school girls Overall posting a 12:27. Reese Neumann had a great race for the Lady Golden Bears winning the Small school girls race in 12:27, with team mate Reese Martin 3rd at 12:48. Hannah Schemmel of Cornerstone Christian was overall runnerup in 12:36. 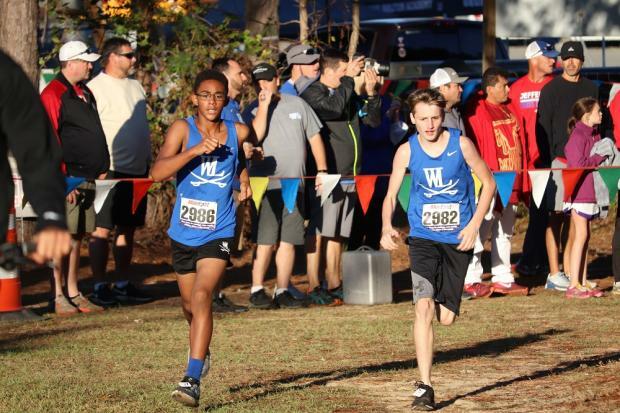 Aiden Seymour (2986) and Sam Reeves (2982) led West Laurens MS to the team win in the Med. school JV Boys race. Gracie Tingelhoff of Jefferson Parks & Rec, won the Med. school JV girls race at 15:45. Cartersville MS came out on top team wise..
Noah McMahon from Renfroe MS won the Med. school boys Overall in 13:25 leading his huge squad to a dominant team win as well. 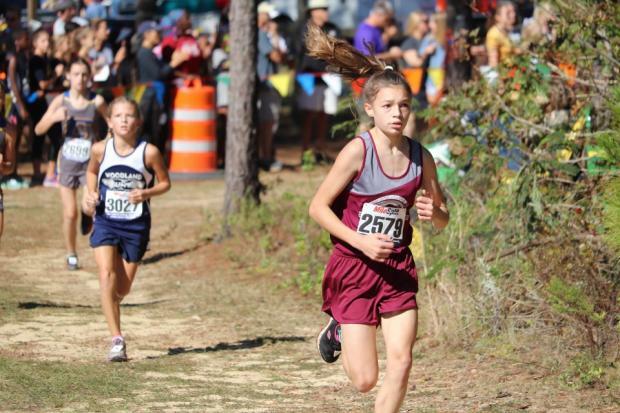 Kaitlyn Godwin of the South Central Chieftans won the Large school JV overall clocking a 14:38. Taylor Road MS raced to the team win in the race. 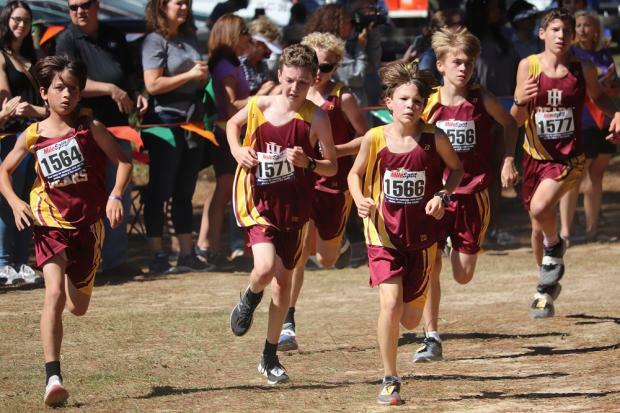 A horde of Golden Bears pack run in Small school JV race as Holy Innocents overwhelmed the Small school JV boys field scoring 24 points. Bleckley County MS earned 2nd as a team. 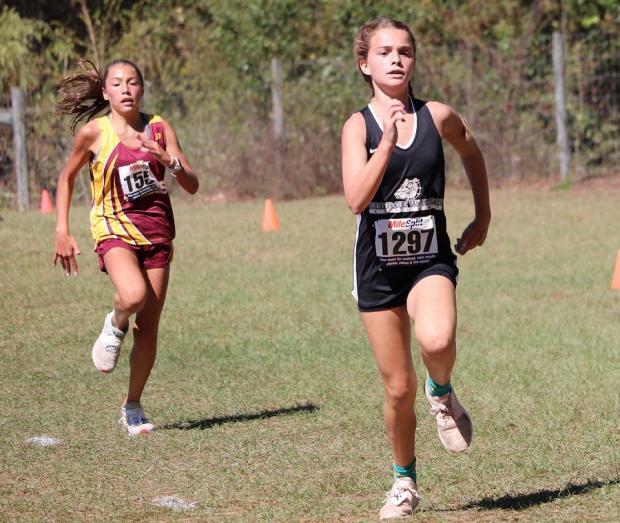 GWA's Charlie Jesel won the Small school JV girls race with Bella Sapone hot on her heels just behind taking runnerup. It was a hard fought battle for the top JV girls squad, with Holy Innocents taking team honors by 1 point over George Walton Academy.